The Jurassic War is a game for Latest Nokia S40 made by Indonesian Developer. 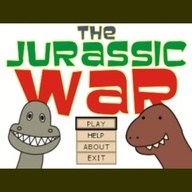 This is a battle game between Jurassic, you must defeat all the Jurassic to win this game.
" Who is the strongest dinosaur? T-rex, Stegosaurus, Triceratops, Brontosaurus, or Pterosaurus. 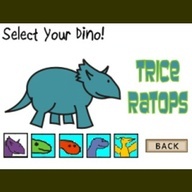 In this game, you can choose your favorite dinosaur. And you must beat all of the dinosaurs. 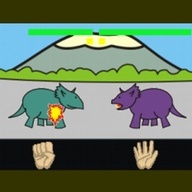 This game inspired by arcade game " Dino King " ."